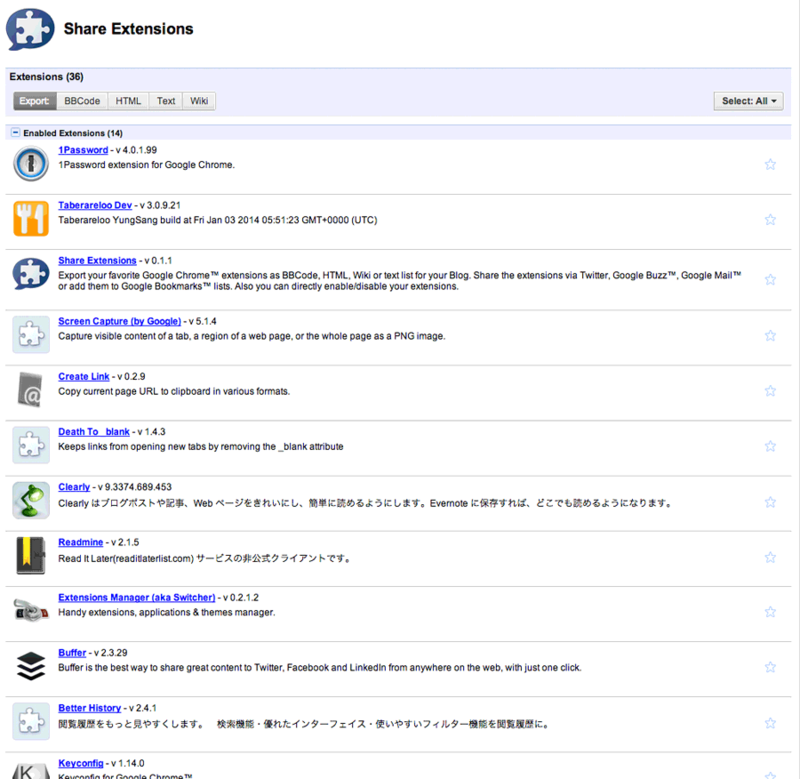 Handy extensions, applications & themes manager. 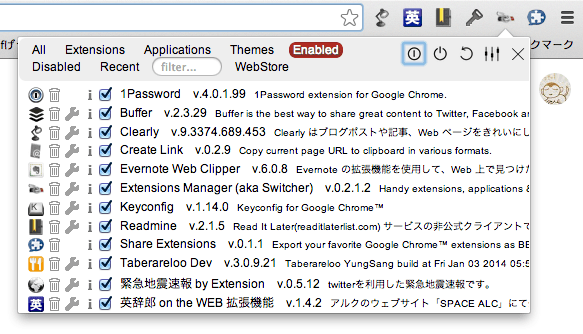 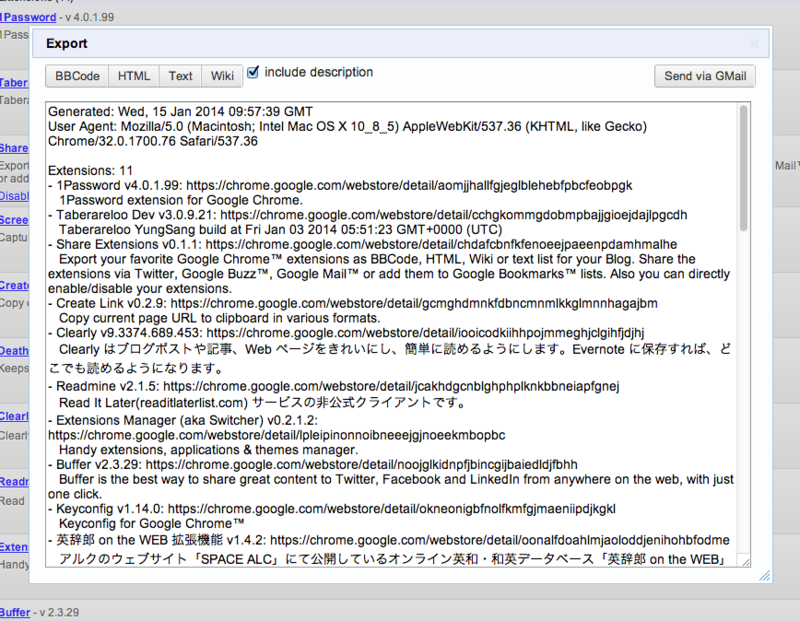 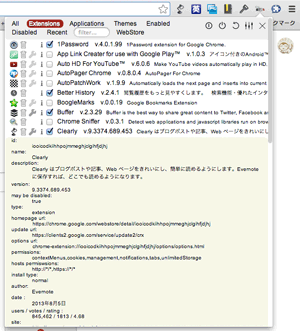 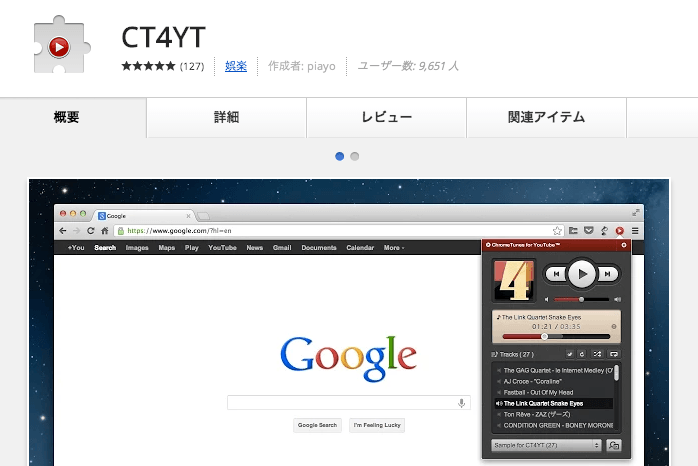 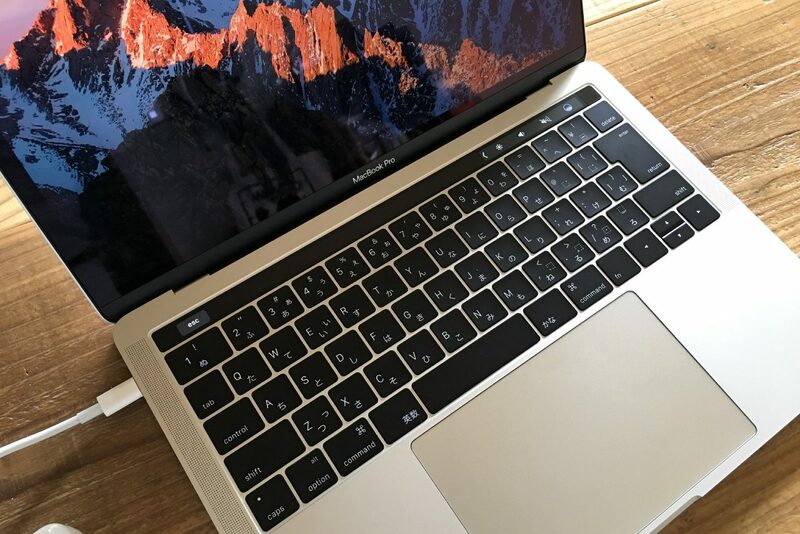 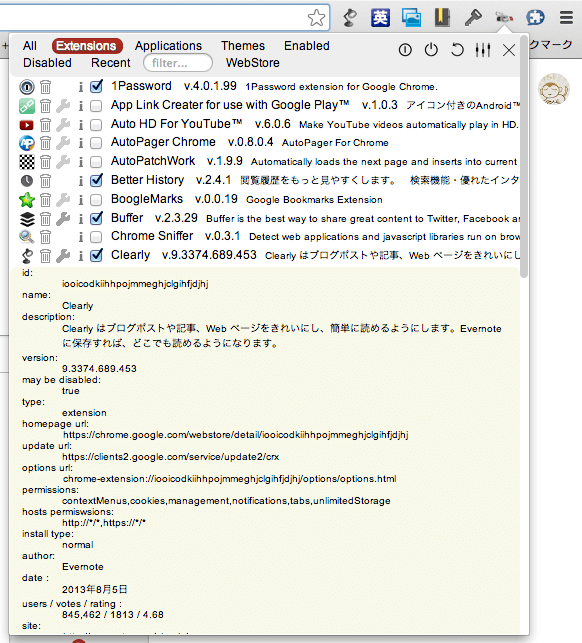 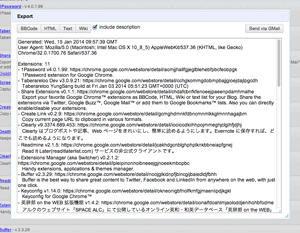 Export your favorite Google Chrome™ extensions as BBCode, HTML, Wiki or text list for your Blog. 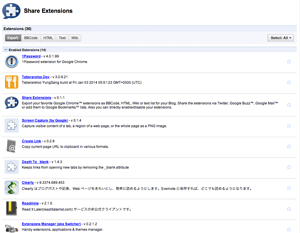 Share the extensions via Twitter, Google Buzz™, Google Mail™ or add them to Google Bookmarks™ lists. 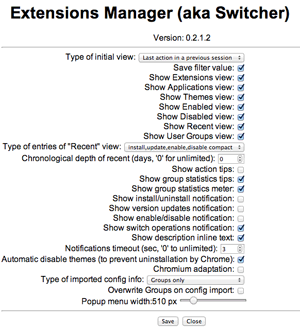 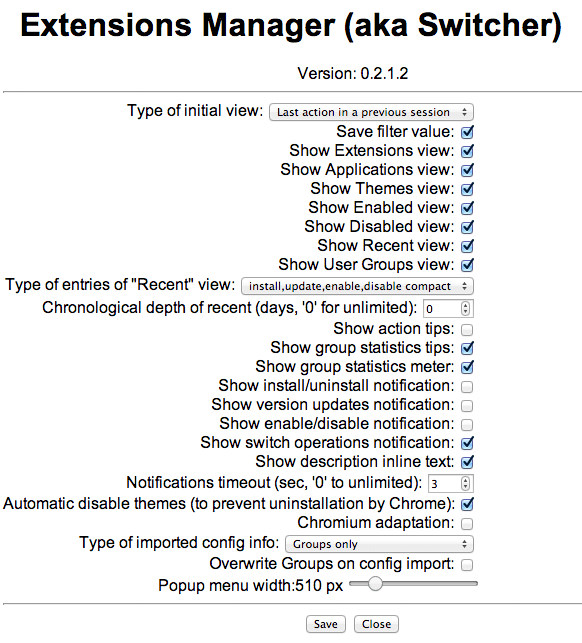 Also you can directly enable/disable your extensions.